GOLDThis live class is delivered by Interface at our Phoenix location. Online attendees will have access to our RemoteLive™ platform. Replay™ class recordings are included. GTRThis class date is Guaranteed to Run and will not change. REPLAYThis class date includes Interface Replay™ class recordings, available for online viewing 1 hour after each class day ends. Get hands-on training in Windows Server 2016 Networking. Students will learn the proper implementations of IPv4 and IPv6 networks including utilizing (DHCP) Dynamic Host Configuration Protocol, (DNS) Domain Name System implementation as well as managing (IPAM) IP Address Management. Learners will gain experience in Remote Access and DirectAccess in Virtual Private Networks (VPN) and configuring advanced networking features in Windows Server 2016. 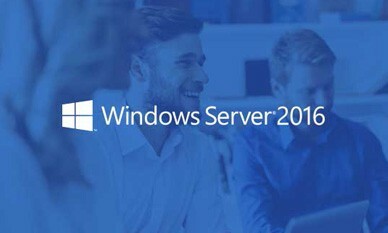 This classroom-based course provides the fundamental networking skills required to deploy and support Windows Server 2016 in most organizations. It covers IP fundamentals, remote access technologies, and more advanced content including software defined networking. "Great Instructor and very knowledgeable." "Extremely knowledgeable of the material and lab issues, and has a lot of patience for those that have little experience with Windows Server." "I think Rick's teaching style is what I appreciated most. He is very patient. I'm glad he isn't one of those trainers that reads me the slide. Rick use examples that help the material make sense." "I enjoyed his method of instructing, he covered some information that the material may not have covered, and made the class interesting by explaining what to expect in the labs, what could cause an issue." "The Labs allowed me to see not only the actual outcome, but verified issues and correct mistakes."